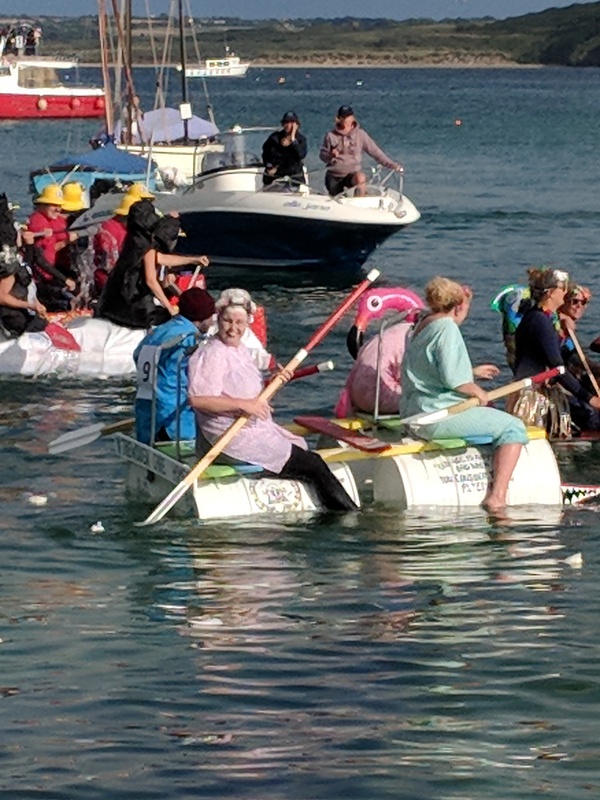 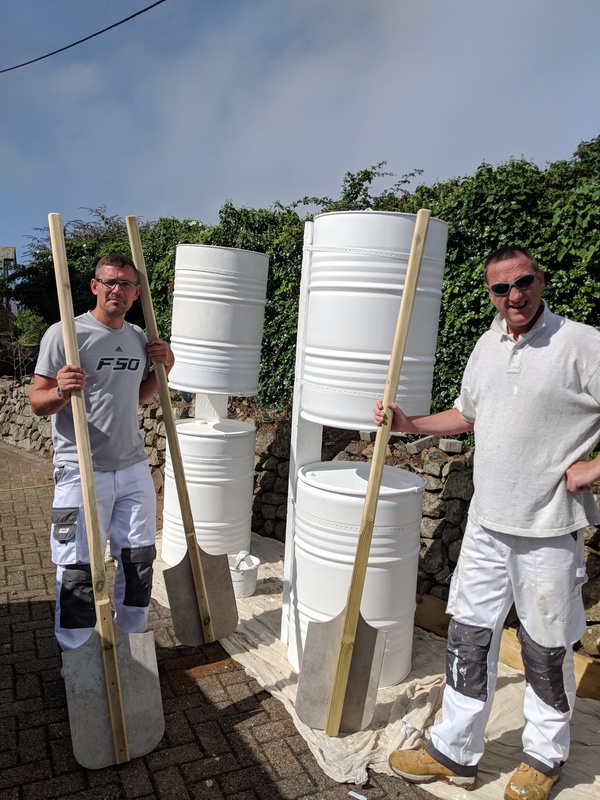 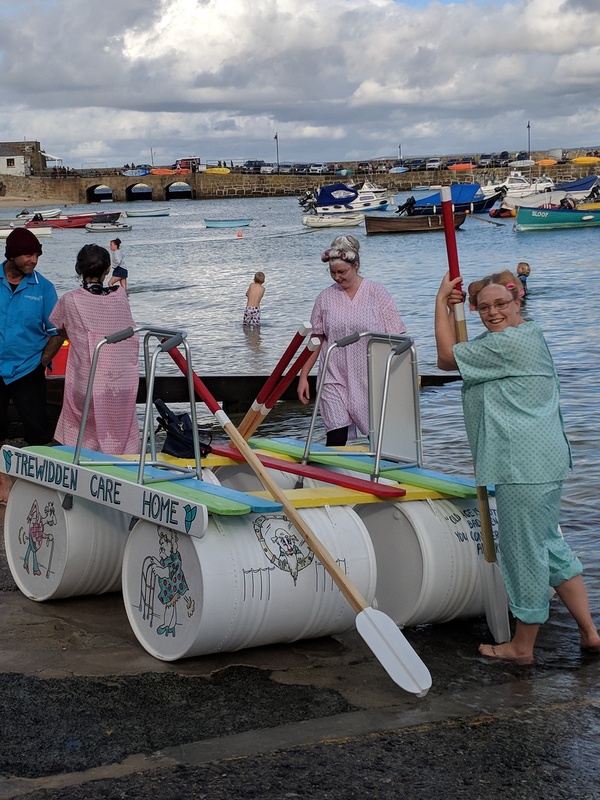 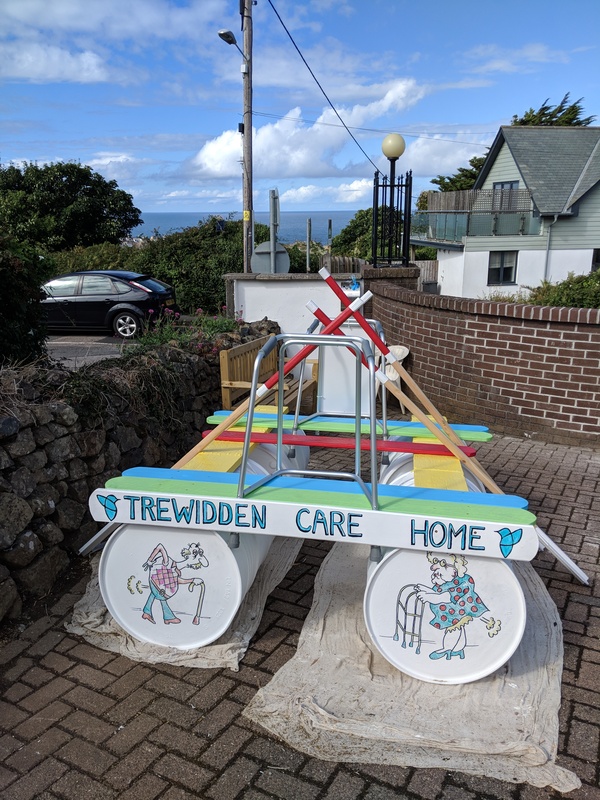 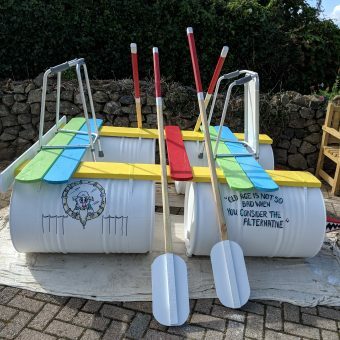 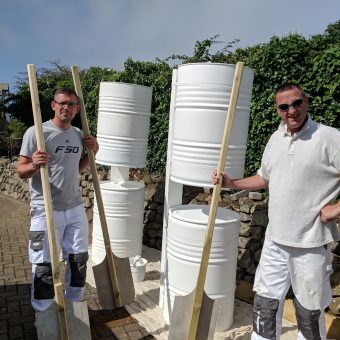 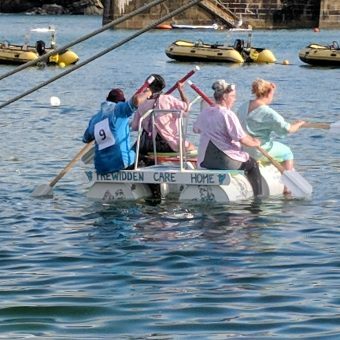 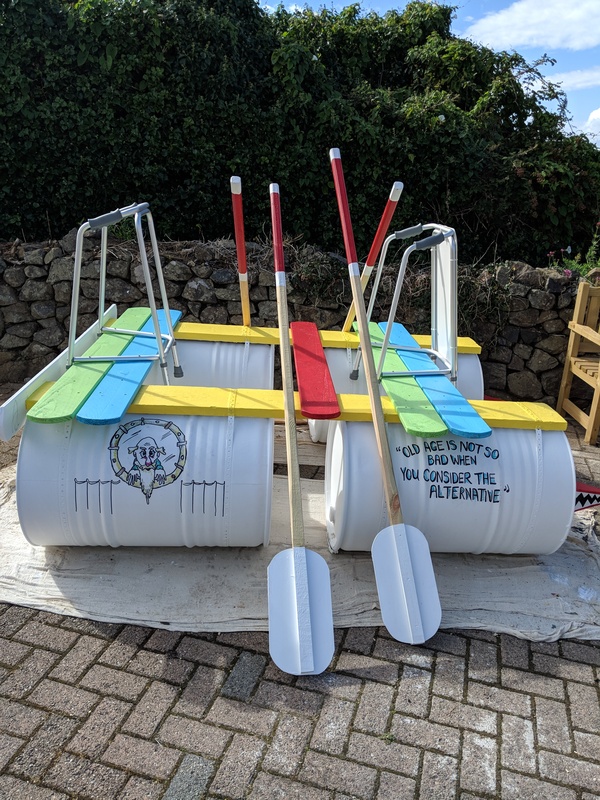 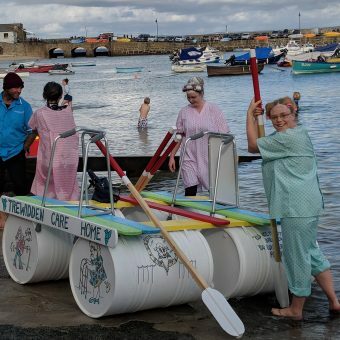 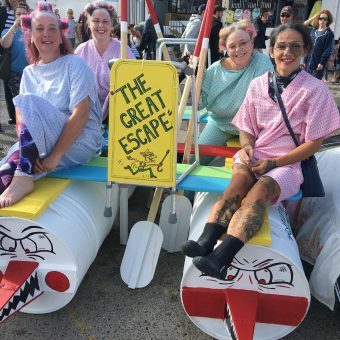 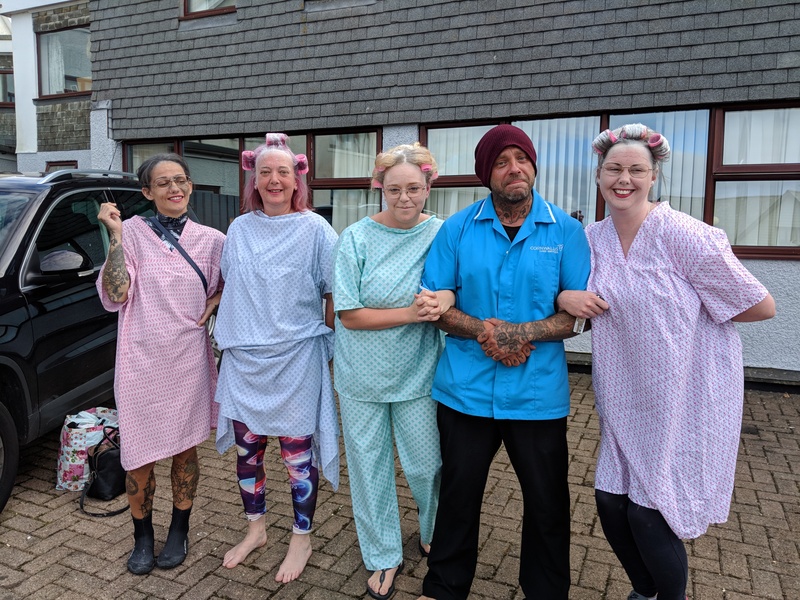 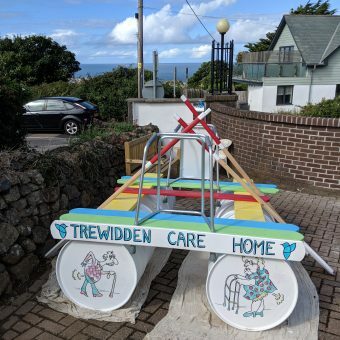 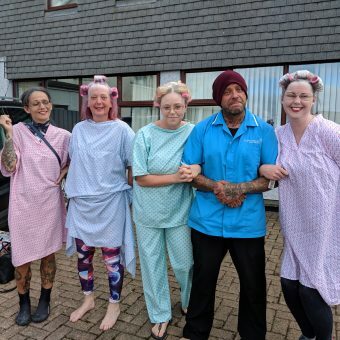 Over the past few weeks, staff and residents of Trewidden Care Home have been busy with preparations for the great Raft Race! 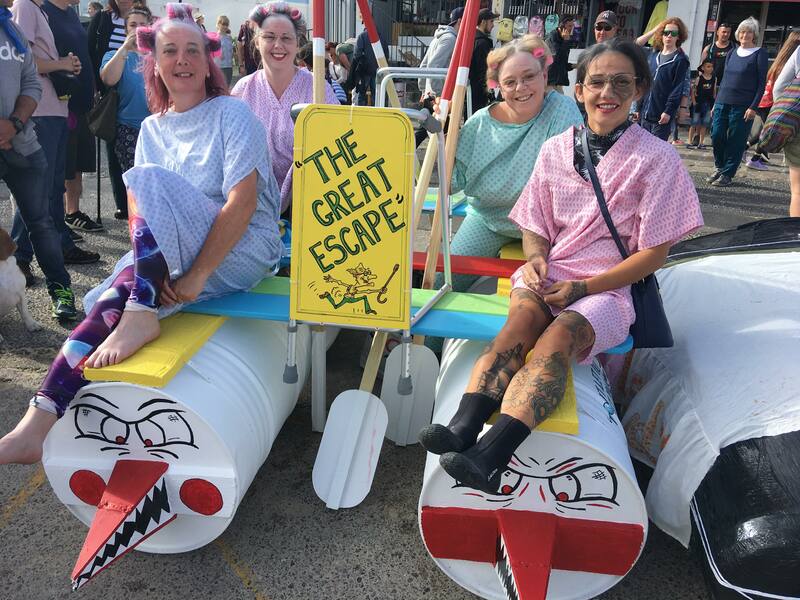 The maintenance team worked hard on the design and construction of the raft and the residents and staff made costumes for the team. 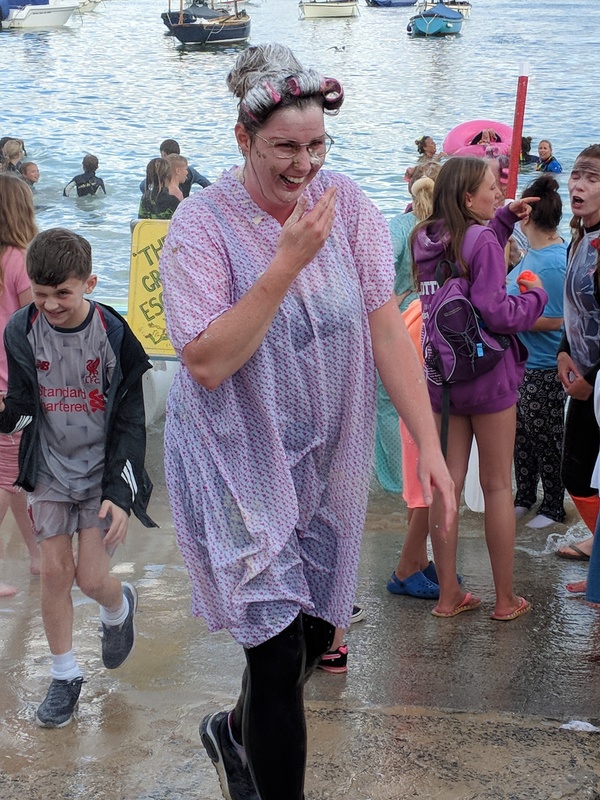 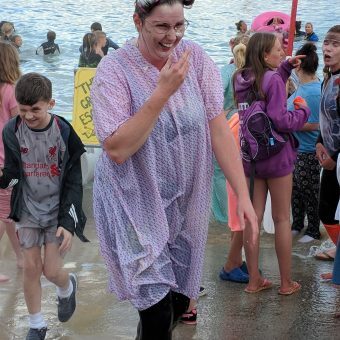 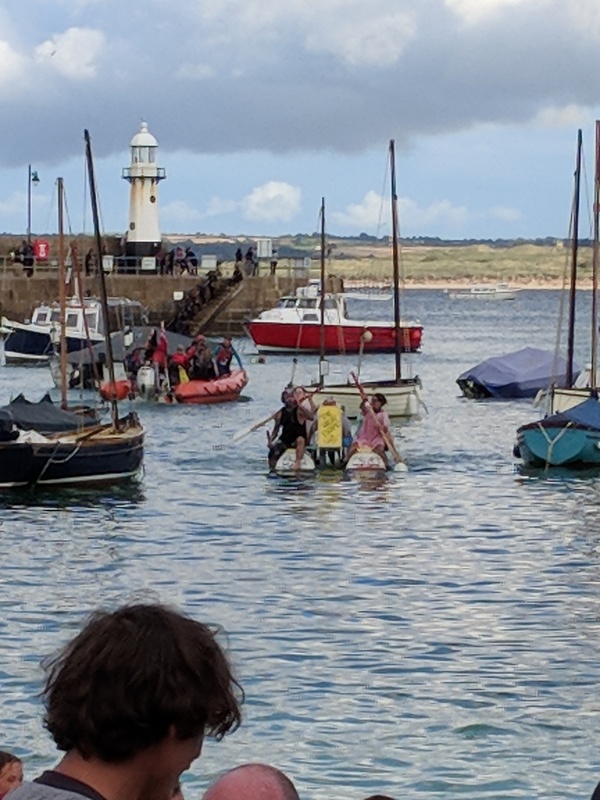 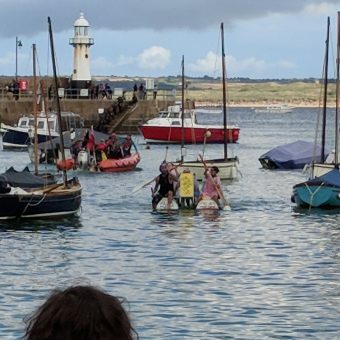 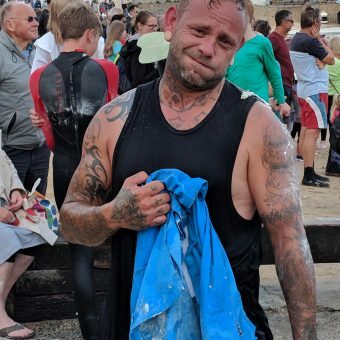 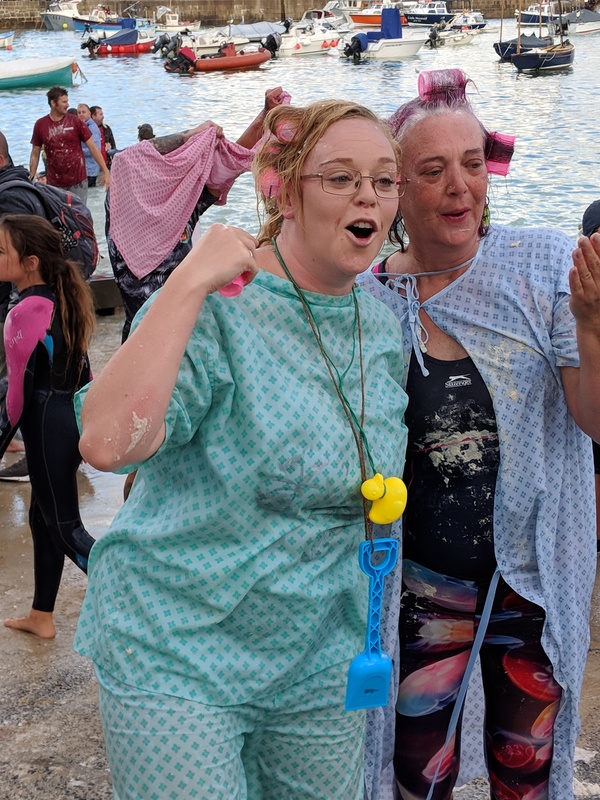 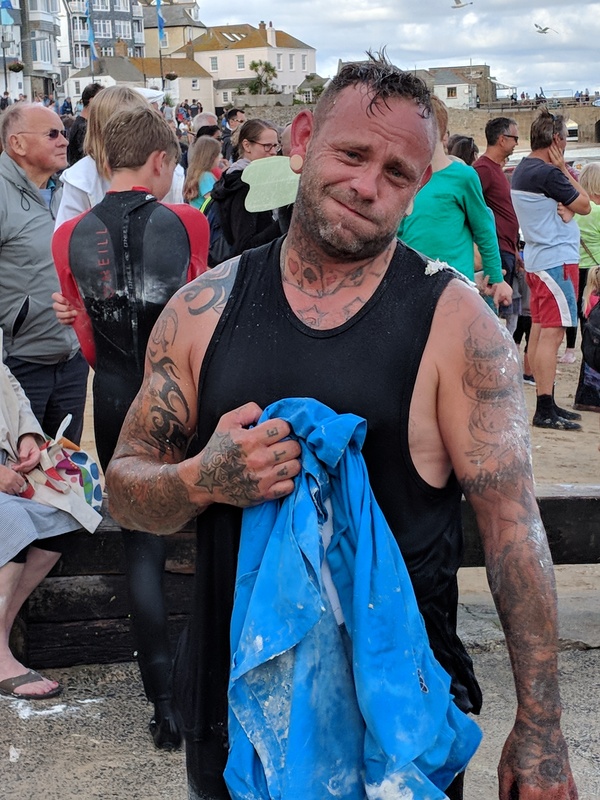 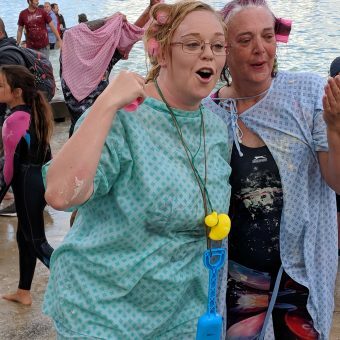 On the day, the team were supported by their colleagues, residents and families as they made a dash towards the pier to rescue their mermaid in distress. 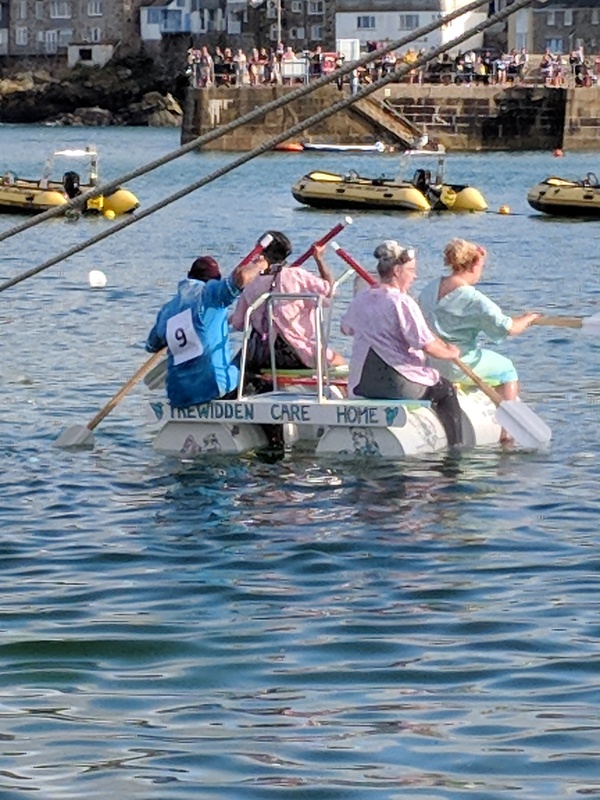 Sadly no prizes were won, but it was a great day and the team did exceptionally well, rowing for 45 minutes! 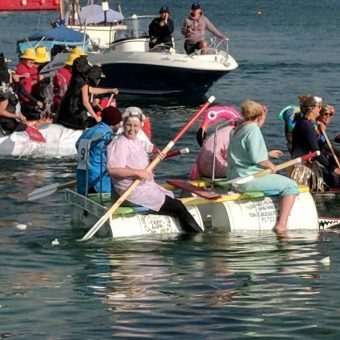 Un-thwarted, the team have made notes on improvements that are needed and will be back next year to challenge the reigning champions.